NOW WILL THEY BE PAROLED? The path to parole is difficult and presents unique challenges for lawyers and family members. Join us for this informative seminar for family members and parole advocates on the steps and strategies to earn parole after spending time in SHU / Solitary Confinement. • FREE CHILD CARE will be provided by Bay Area Childcare Collective! We hope to post updates every week or few weeks about the struggle to END long term solitary confinement. If you have any feedback for how we can improve these updates, or information you’d like to see, please let us know. Weekly Meetings: The Prisoner Hunger Strike Solidarity Coalition meets every Monday night in Oakland (and on the phone). 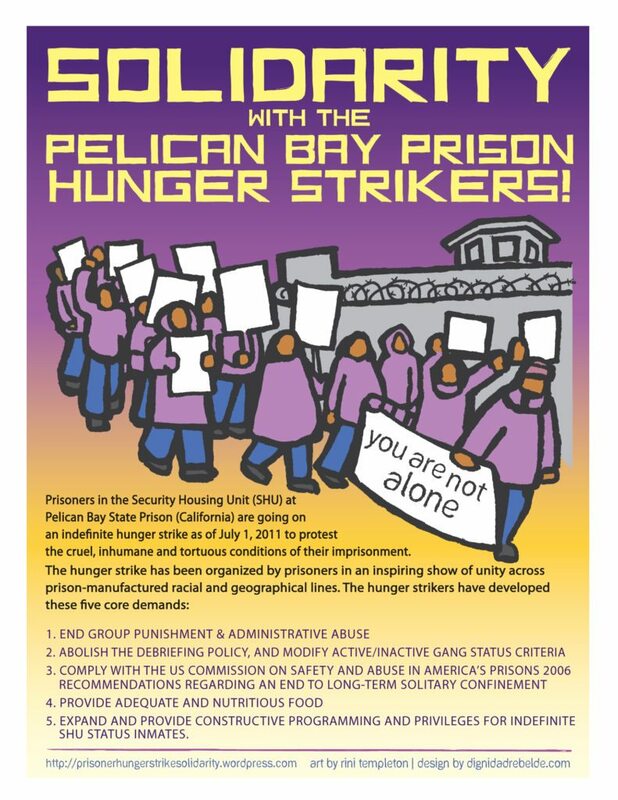 The sole purpose of the Prisoner Hunger Strike Solidarity Coalition is to amplify the voices of California prisoners as they strive to achieve their Five Core Demands. The Coalition consists of family members, formerly incarcerated people, lawyers, organizations, and individuals who stand in solidarity with the hunger strikers. This weekly meeting focuses primarily on planning, promoting and reporting on actions and events directly related to the struggle for the Five Demands (primarily, to end long term solitary confinement), including prisoner updates and legal and media strategies and reports. https://www.youtube.com/watch?v=_Pz3syET3DY “Last Week Tonight with John Oliver” 7/20/14 – This 20 minute segment covers solitary confinement and mass incarceration in general in the United States. Great video to share with your friends & family who aren’t paying attention to the prison crisis. August 2014 Issue of ROCK! Go to our CALENDAR to post or find upcoming prisoner solidarity and movement building events throughout California or any location. 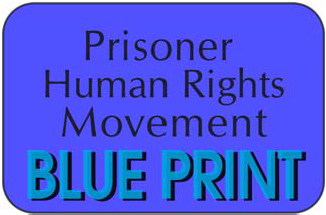 “SAVE THE DATE” September 6, 2014 for an event in Oakland to commemorate the end of last summer’s prisoner hunger strike, the largest in U.S. history. We will have more information soon.